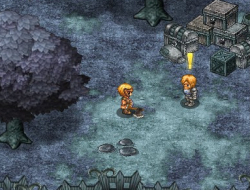 This is the second version of one very good strategy game and the story continues. Freshly victorious from a long lasting battle, Aaron has returned to Arcuz eager to meet his old friends again.Little does he know that the adventure hasnt ended yet, as the imprisoned daemon has promised a dark lord immortality if he shall grant him freedom. The world is nearing an holocaust if this were to happen. Help the young warrior defeat the enemies of humanity once again. Use the mouse to play and JKL to interact with the people and environment. Arcuz 2 0.00 between 0 and 10 based on 0 votes.